The journey of a Birks Canadian Diamond begins in the verdant soil of the vast Canadian landscape. Each sustainably mined, conflict-free diamond is traceable from a rough crystal to a polished gem, ensuring its pedigree and provenance. 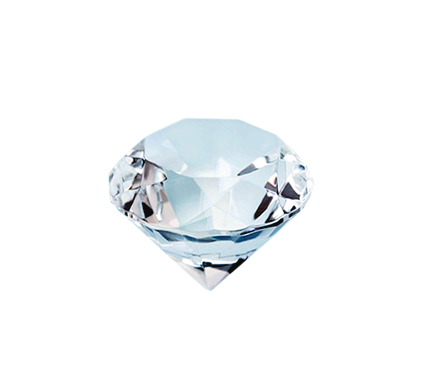 Birks Canadian Diamonds are some of the world’s purest and clearest. 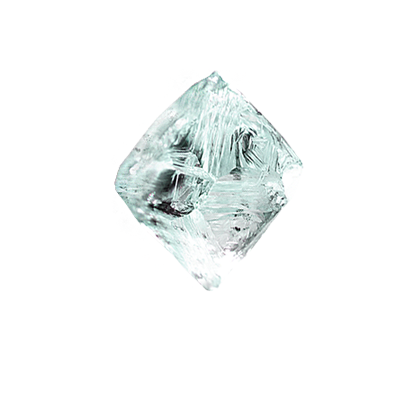 Our expert gemmologists scrutinize each diamond, ensuring that it has been fashioned to release all the fire and brilliance that the diamond possesses. 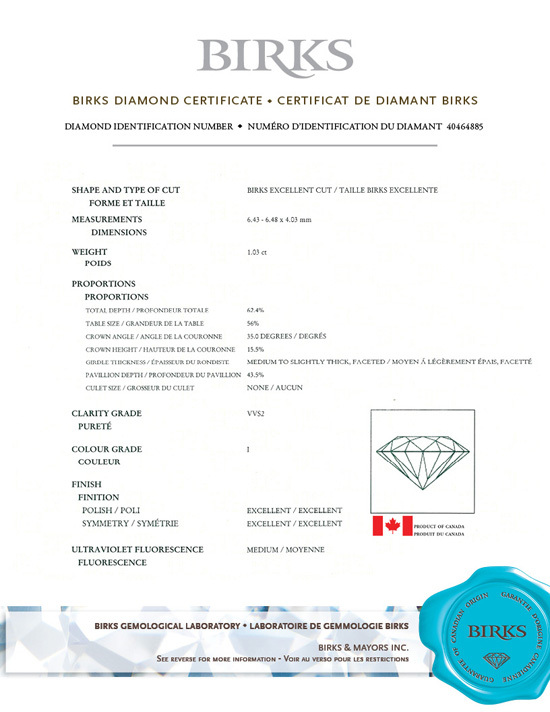 All Birks Canadian Diamonds adhere to the rigorous Kimberly Process, an international certification serving to ensure that diamonds are conflict-free. We are proud to align our values with those of our loyal customers. Each Birks Canadian Diamond is laser-engraved with a maple leaf and is assigned a unique Maison Birks Diamond Identification Number. Keep your Birks Canadian Diamond Certificate close at hand and relive the journey of your Birks Canadian Diamond for years to come. Your number is invalid. Please try again. Renowned for their meticulous attention to detail and unerring passion for quality and design, the Maison Birks artisans create works of art as unique and unforgettable as the precious moments they epitomize. Inspired by our time honoured heritage, Maison Birks has been defining timeless beauty since 1879. 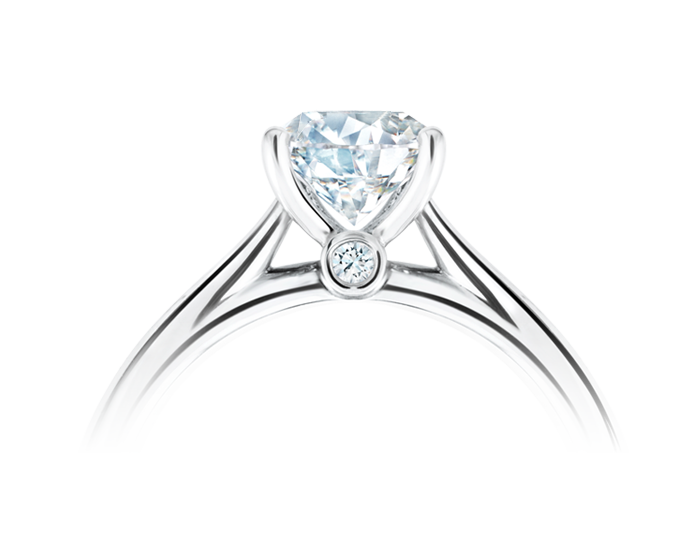 Your Birks Canadian Diamond radiates this enchanting history. 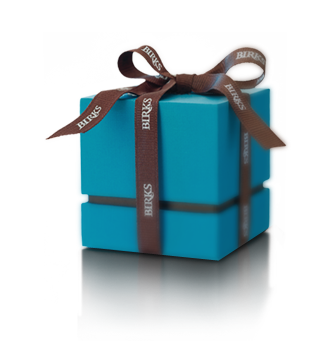 Since 1879, Maison Birks has been a part of your special moments, milestones, and declarations of love and commitment. 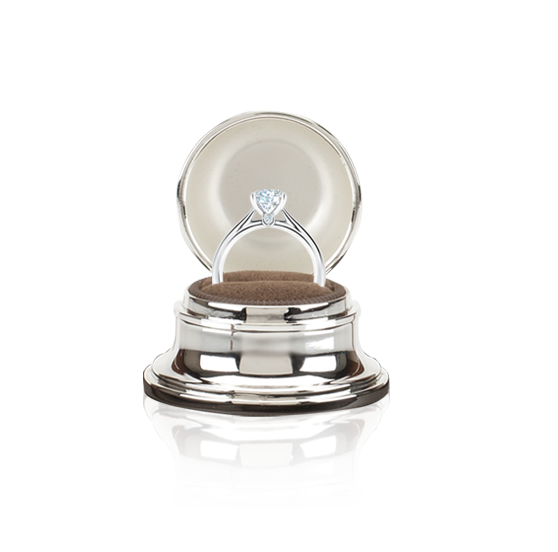 The perfect proposal always begins with a Birks Canadian Diamond, mined with your happiness in mind. The Birks Canadian Diamond Identification Number is a unique number given to each Birks Canadian Diamond that meets our Maison Birks standards and has been reviewed by our gemological laboratory. 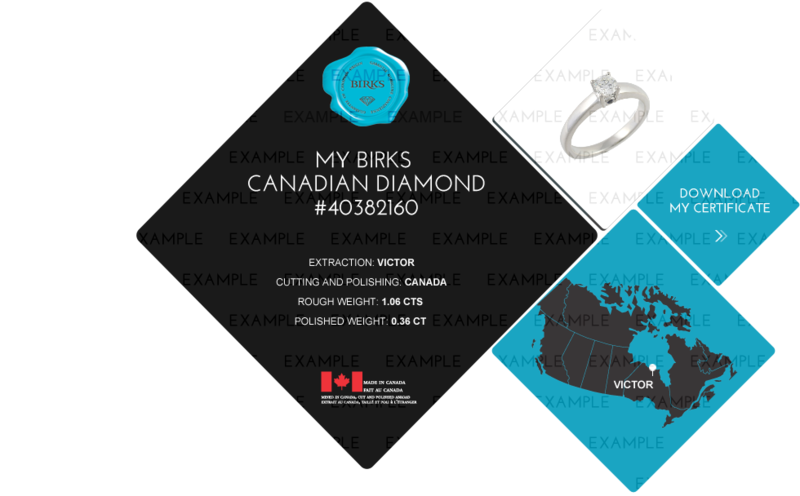 It appears on the front of your Birks Canadian Diamond Guarantee Card included with your Birks Canadian Diamond Certificate. It also appears on the certificate itself. 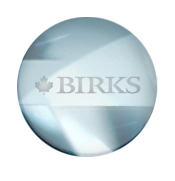 The Birks Canadian Diamond Identification Number is also engraved on the inside of your ring. Avoid waiting time at our store. Tailor your visit to your unique needs.